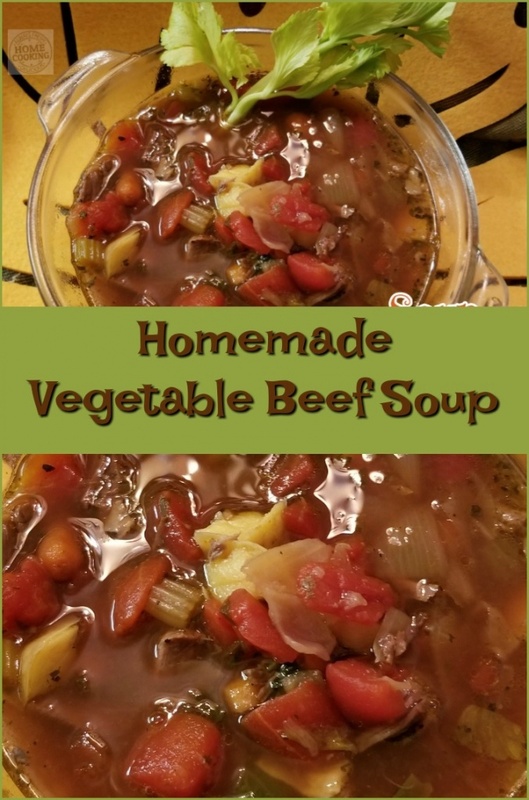 Recipe Homemade Vegetable Beef Soup – All of sudden, the temperature went down by close to thirty degrees late last week. Felt like soup weather. After weeks of high temps near the century mark along with enormous quantities of rain, it felt like Fall. Hearty soups are becoming Mom’s meal of choice so it gave me the opportunity to develop a protein packed soup she could simply reheat. All you really need with this meal in a bowl is a thick slice of crusty bread and a piece of fruit for dessert. 2 thin cut chuck steaks; a little over a pound in total weight and about 1/2 inch thick. One whole SMALL organic celery heart sliced thin – leaves included. Two 14 oz. cans of Italian style diced tomatoes (with basil, garlic and oregano) – Do not drain. 6-8 baby potatoes, steamed and cut into small pieces. McCormick® Steak seasoning, to taste. Bone broth tends to come in small containers – 8 to 12 oz. – so the 16 oz packs are perfect when making soup. 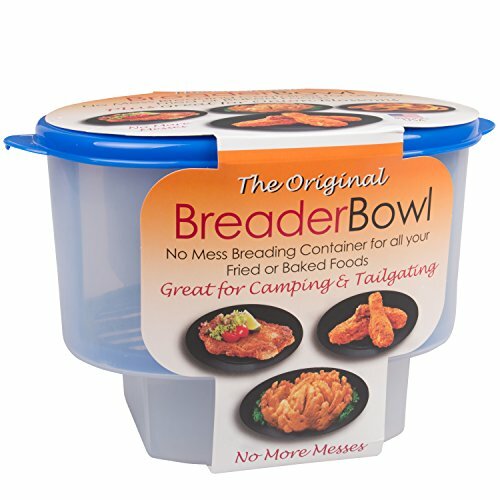 Keep the small containers for rich gravies. Heat a cast iron Dutch Oven to medium heat. Pat the chuck steaks dry with paper towels. Do not add olive oil to brown the meat. While some cuts of chuck are rather fatty, I select those that are as lean as possible but there is nearly always enough fat in a thin cut of chuck steak to provide sufficient “fat” for browning. Place the steaks in a dry pan in a single layer. If need be, cook them one at a time. You want them to brown evenly on both sides not “stew”. It will take about 3 to 4 minutes per side for the meat to get a rich brown color. My 2 steaks happened to be the perfect size to fit evenly across the bottom of the pan without overlapping. Season lightly with the steak seasoning before flipping meat over to other side. Lightly season the first side. While the second side is browning, toss the chopped onions and celery along the sides of the pan. Let the veggies brown just a little. You can also lift up one of the steaks and spread some of the onions and celery along the bottom of the pan. Browning the veggies for just a few minutes adds another layer of flavor. Cover the meat and vegetables with beef bone broth. The sodium content of bone broth is half as much as that of “low-sodium” stocks. Warm the broth and then taste to adjust seasonings. Add both cans of diced tomatoes – not drained. Season to taste with salt and pepper. Cover with the pan lid and simmer the soup until the meat is fall apart tender – about 2 hours or more. Remove the meat from the pan and allow to cool before breaking it up into small bits. Return the beef bits to Dutch oven. At this point, you can add the cooked potato pieces to heat through. The soup is ready to serve. This is a thick soup with quite a bit of meat because the intent is to make it a protein packed meal in a bowl.